Hi! Not Sure What Natural Beauty Products Might Work you? I am so glad you are here! my Name is Nina and I am a Green Beauty Curator. Sign Up To Receive Tips on Green Beauty! Sign Up to Enter February Giveaway. Ends March 13th! Are you a conscious consumer in the making? 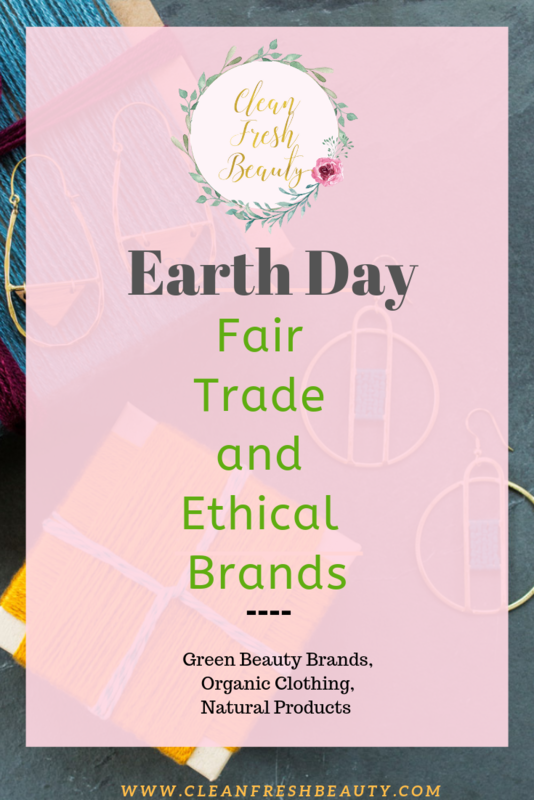 Do you want to go beyond green beauty by making socially conscious and environment friendly choices? 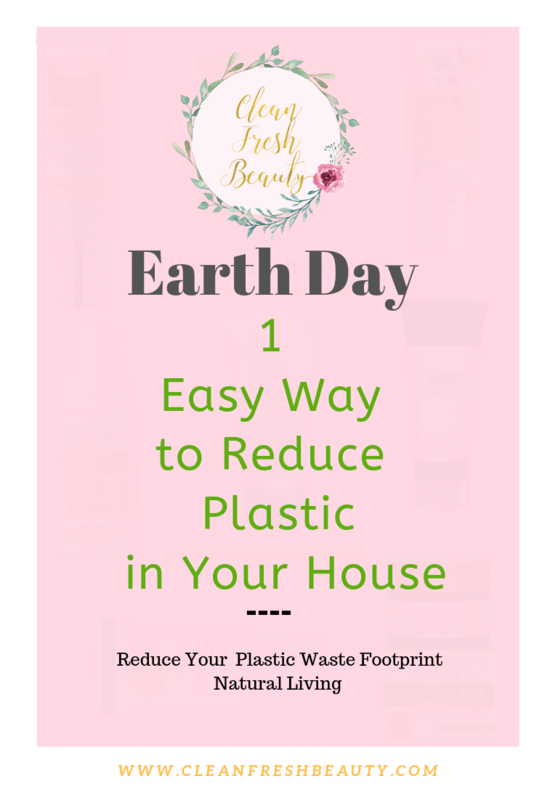 This Earth Day, in this bog post I share with you 3 simple ways to be a more conscious consumer. True Moringa is a natural beauty company that work with over 1000 families in Ghana to make nourishing and soothing green beauty products. Dr. Bronner's make natural gentle soaps for the whole family. They work with organic farmers to create equitable supply chains, fair living wages, and excellent working conditions as they invest in the people and communities they partner with. Mata Traders is an organic clothing company that work with artisans to make their clothing and pay them a fair wage. They make these beautiful organic clothes for everyday wear. Their mission is to ‘fashion a better world’ by creating designs that celebrate a woman’s originality and empower her to use her dollar for change. What is consider sustainable packaging? Sustainable packaging is packaging made out of material that can be easily repurposed, harvested without harmful effect on the environment, or is biodegradable. 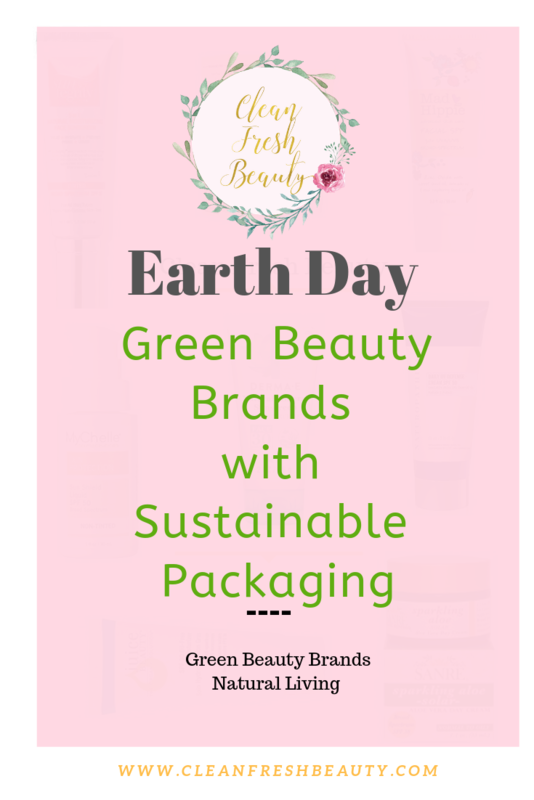 Here are few green beauty companies that uses sustainable packaging. ​Tata Harper: The majority of their packaging is made of glass. They only use plastic for their pumps and when it is necessary for their products to function. Ecco Bella: Ecco Bella offers three different refillable packages for multiple products (eyeshadow, powder eyeliner, blush, and shimmer dust). Elate Beauty: they use bamboo packaging from China and work with a green certified, fair-trade manufacturer. #3 Reduce the use of plastic in your house. An article from Clear Water Action mentioned that "plastic waste affected at least 267 marine species, including 43 percent of marine mammal species and 86 percent of sea turtle species." Plastic waste has been so damaging to the marine life. We got to do better and every little step count! One of the easiest ways to reduce your use of plastic is to use reusable silicone bags like Stasher bags. This is a healthier alternative to plastic, their bags are self-sealing, air-tight, and made with food-grade silicone. Want to Find More? Sign Up To Get Our Tips! Protecting our skin against the sun is one of the best skin habits we should have. Exposure to the sun has been shown to give us early aging signs and aggravate the one we already have. Shiny day or cloudy day, we have to protect our skin from UV rays. During winter though so many of us forget about it and do not wear sunscreens at all. But spring and summer are around the corner, and girlfriend, we better put that sunscreen on. 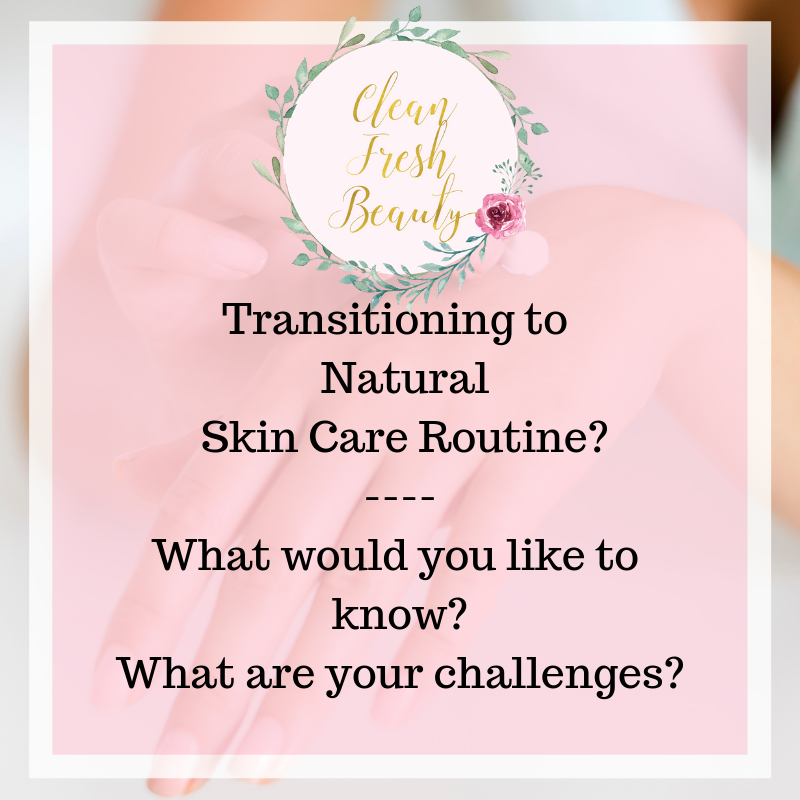 Now to be real, we all know that with our busy schedule it is a bit challenging to find time to add an additional skin care product in our skin care routine. So, the clean beauty world created facial moisturizer with SPF to help us. With one plant-based product, you can have both the moisturizing effect and the sunscreen protection. Let me stop here for a second: when I read about facial moisturizers with SPF a while back, I was very skeptical. We are all told to apply our sunscreen at least every 60 to 90 minutes. So, I did not believe in that idea of facial moisturizers with SPF were effective. 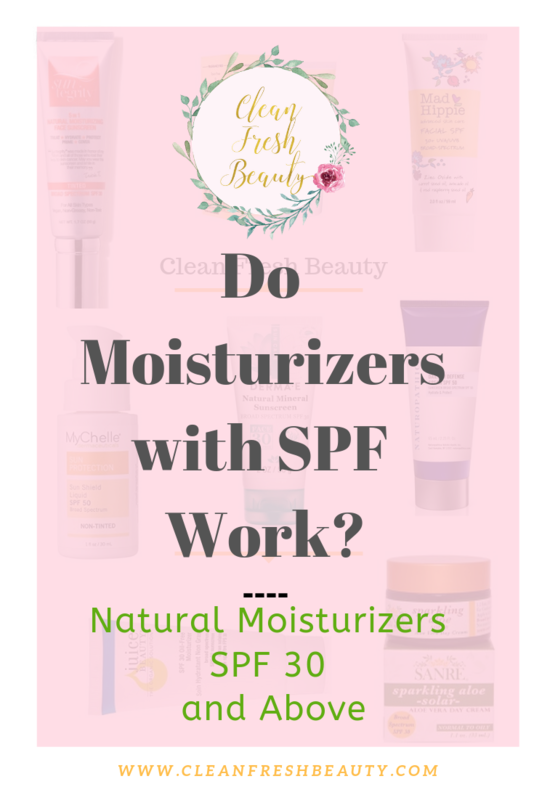 When I researched what dermatologist say about moisturizers with SPF, I found out that they do not protect us as well as regular sunscreens [sources: study from University of Liverpool]. But they are not a waste at all because they provide some level of protection against the sun. And, it is better to use and moisturizer with SPF then no sunscreen at all. So, to protect our skin without having a complicated skincare routine, moisturizer with SPF are highly recommended. We are in luck here because the green beauty world stepped up their game by providing SPF moisturizers that work amazing for the skin; we now have anti-aging antioxidant packed, oil-free, hyaluronic acid-primer SPF moisturizers. 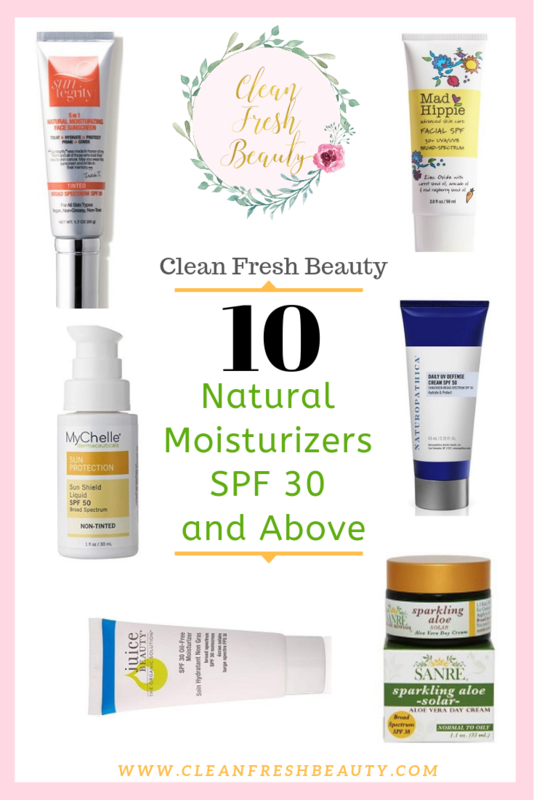 My pick of top 10 moisturizers with SPF 30 are powered by plants to give you the best coverage and to deal with your skincare concerns. 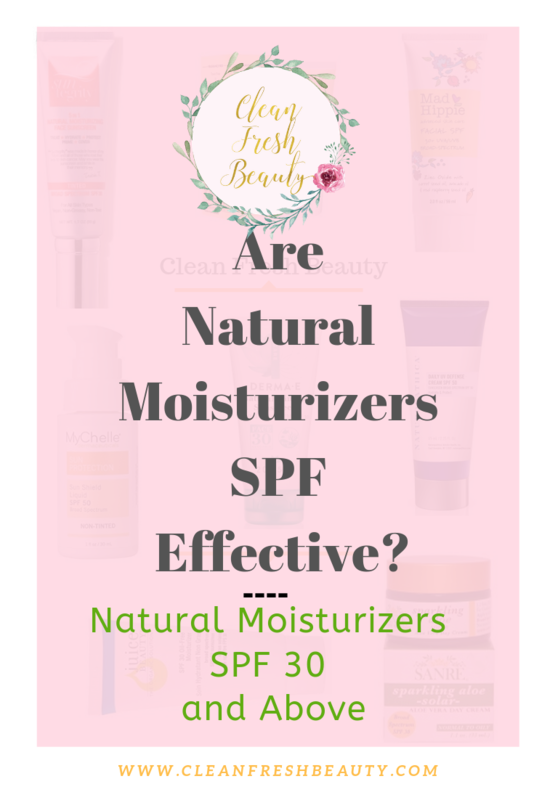 I found moisturizers with SPF 30 and above that also have natural ingredients that are best for mature skin, oily skin, sensitive skin, acne-prone skin, and dry skin. I reviewed the ingredients and selected the one that will provide the best results for each skin types. I also went through customers reviews. Please make sure to test any products first. We tend to keep the same skincare routine all year round. Why change it something that is working?! Right?! But dermatologists and aestheticians highly recommend that switch up our skincare routine from one season to the other. When we move from cold to warm weather, humidity is heightened and our skin has to adapt. Did you notice that at some point of the year your skin feels a little bit greasier or less comfortable? 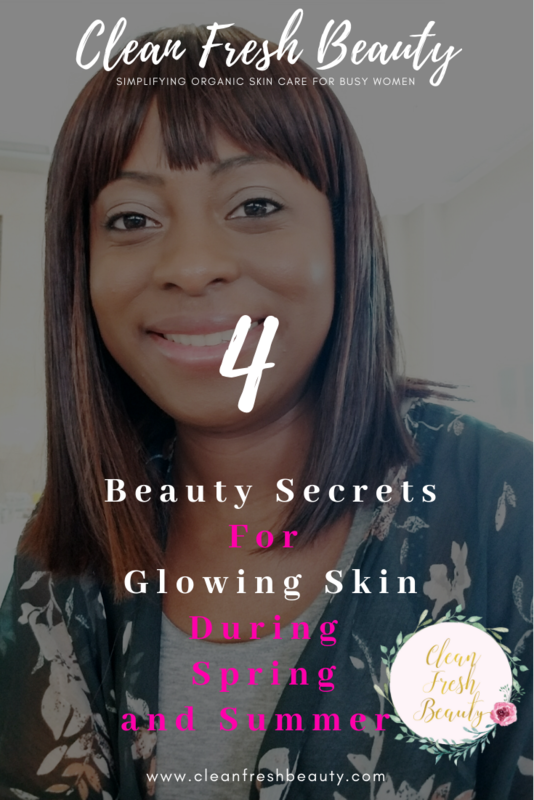 Our skin is adapting to the new weather and we need to help it transition and give it the nutrients its needs to stay glowing and healthy during the new season. 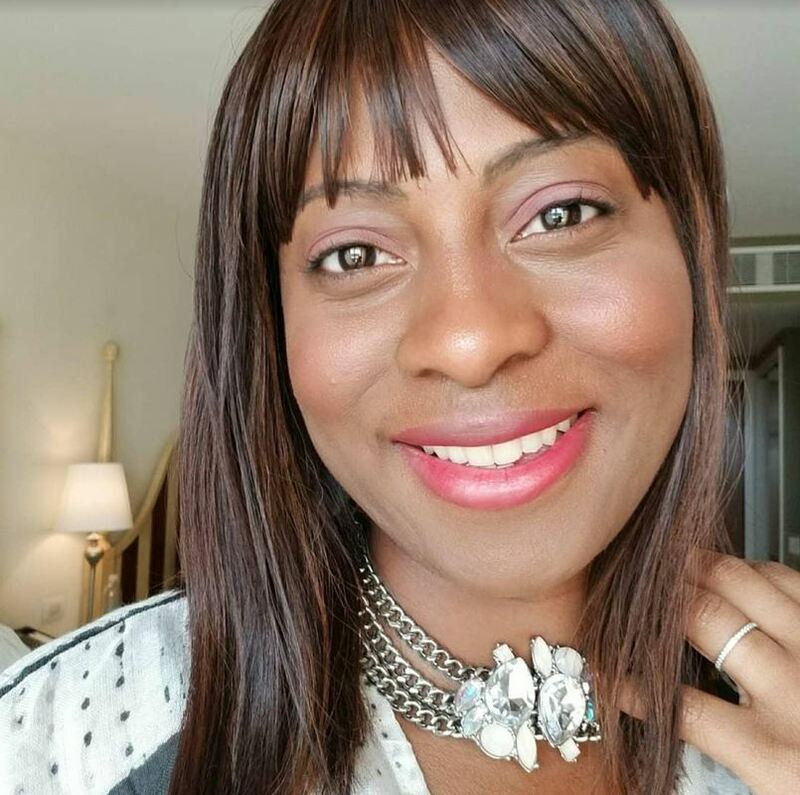 That is something I learned about few years ago and switching my skin care products during warmer months has made a big difference in my skin. My pores are less congested and my skin is a lot more supple, glowing, and soft all year long. Dermatologists recommend that we make few adjustments to the skin care products we use. Wondering what natural and organic products will work for you? I am so glad you are here! I am a green beauty curator and I am here to help you. Sign up below to get my tips on natural beauty and find out the best natural and organic products. When you look at yourself in the mirror, do you often think: I am tired of my dark circles. Or, where are these wrinkles coming from. That happens to me often; I have been working on having a healthy skin naturally, but my dark circles have been a little bit of a challenge. 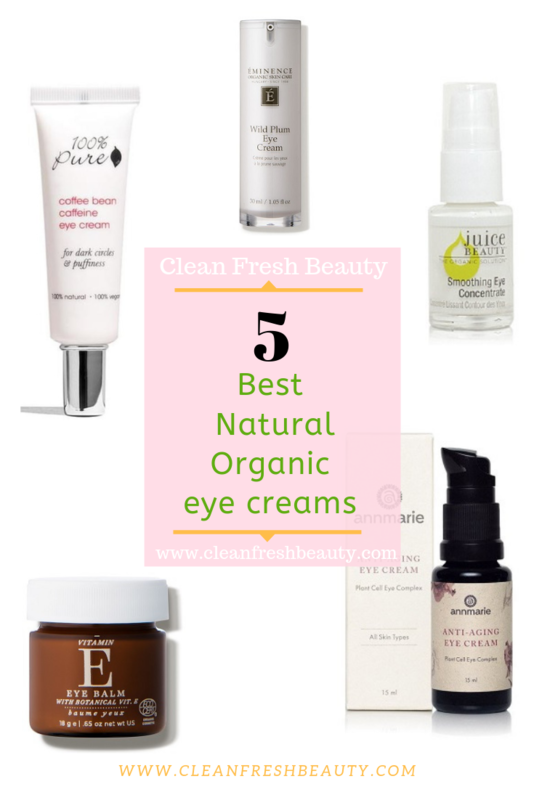 So, of course, I have been searching for the best natural eye creams. 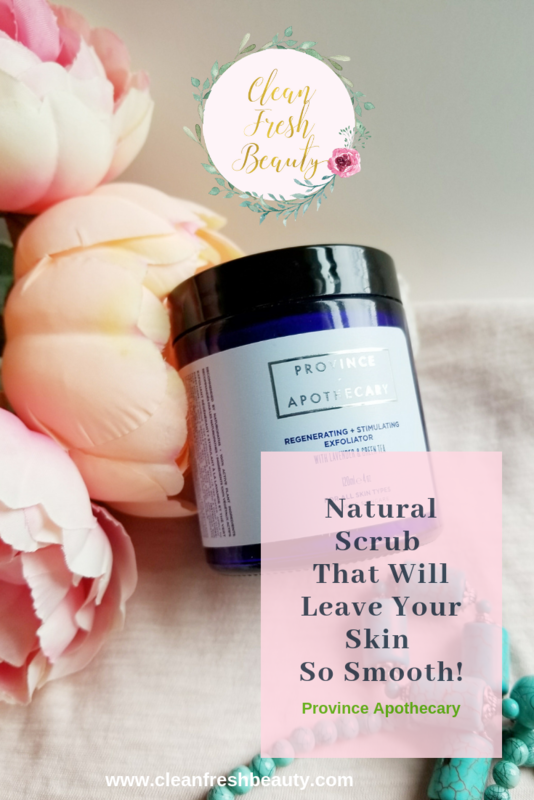 Wherever your skin care challenges around your eyes are dark circles, puffiness, fine lines/wrinkles/Crow's feet, and dry skin, there is a natural cream that will help you. I've found five natural eye creams that will help your eyes look brighter, younger, and softer. These eye creams contain natural ingredients such as coffee oil, rosehip oil, aloe juice, and algae, and more to rejuvenate your skin and fight aging skin. 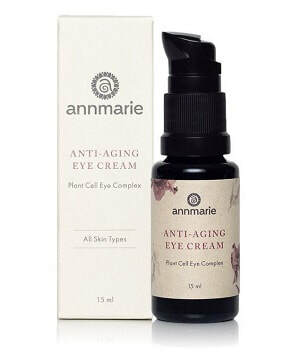 Related Blog Post - How to choose a natural eye cream? This is a great natural eye creams made with certified organic grape and carrot juices blended with essential fatty acids and Vitamins B5, C and P to hydrate for healthy, beautiful eyes. This natural eye cream gets 4 stars from 110 reviewers. It helps the eyes looks less puffy and less dry. It is also a great option for sensitive skin. It is not stingy or itchy. It will also make your skin so soft and slightly brighten your under eyes. If you dark circles are not too deep, you will see some improvement when using this natural eye cream. ​I love Ann Marie natural products. I highly recommend using their products; they are so effective at dealing with irritated skin and mature skin. This eye cream has been formulated with antioxidant-rich green tea and goji berries reduce the appearance of fine lines and wrinkles. 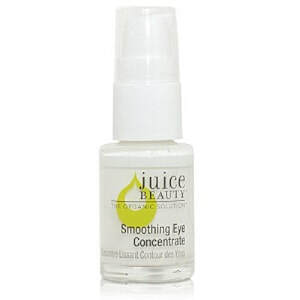 They also used cucumber extract and the herb eyebright to temporarily ease puffiness. It also contains CoQ10 and damas rose; these are natural ingredients that have been used to effectively help fight aging signs. This cream is very light and absorbs quickly. 460 reviews give a 4-star review to this eye cream. Hi lovely, if you have dry skin, it is so uncomfortable. Your skin is tight and itchy. To help, your natural skin care products and routine should do both hydration and moisturize your skin. From your cleanser to your moisturizer, each product should add more hydration and lock it into your skin. There is so much confusion around hydrating and moisturizing, but these two are quite different. Hydrating your skin is bringing moisture aka water to your skin while moisturizing it is about sealing and locking in the hydration of the skin. 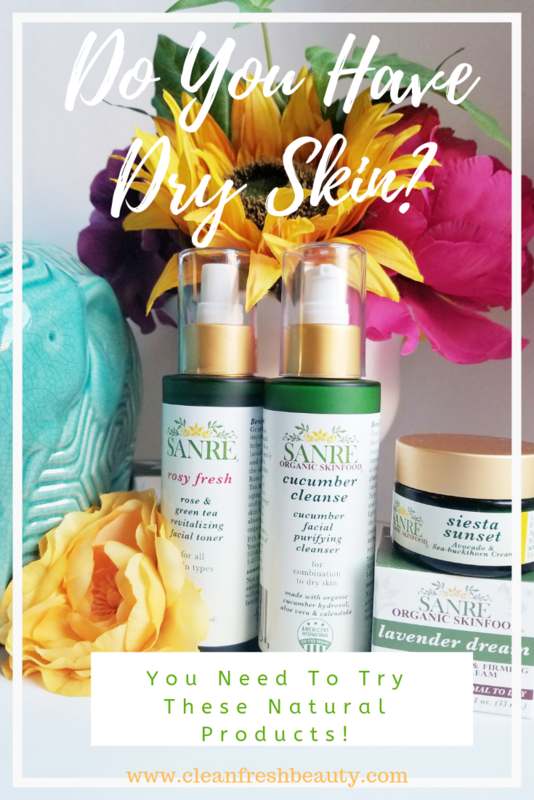 This dry skin gift set from SanRe Organic Skinfood has the perfect hydrating and moisturizing mix to help your skin feel soft and so comfortable. I tried many SanRe Organic Skinfood products before and I always love their products; they always have natural scent that make you happy. This dry skin set was full of great surprises. First, all the products here complement each other so well. Usually, brands tell you to use all the products from one of their line for maximum effect. But I never see any difference. This time it is different; I am so glad they sent me the whole set because each product I use on my skin made it feel even more nourished, hydrated, and soft. Second, this brands is really earth conscious. I love the beautiful packaging and they used green opaque glass bottles and jars. No risk of oxidation of the products; opaque bottles guarantee the freshness of products by preserving it from light-breakdown. Also, it is less waste; the bottles are FULLY recyclable. They also use soy based inks which limits our exposure to chemicals. Third, I had a great experience! Get my latest tips on natural and organic beauty products! I am a big fan of body dry brushing to deal with cellulite and exfoliate my skin. I also tested facial dry brushing and you should definitely add this to your skincare ritual if you have dull and dry skin. For me, it all started when I kept reading about facial dry brushing in some of my favorite magazines. And after researching more about this skincare ritual, I found that it has so many skin benefits. Also, so many dermatologists and natural beauty estheticians have been praising the benefits of facial dry brushing for years. How did I miss this?! The more I read about it the more I felt had to try it. So, I've been doing it for months and I can tell you that my skin loves it. One of my skin obsessions is with my skin texture; I have underskin bumps. With dry brushing, my skin is smoother and glowing and my pores are less congested. Also, I love that you only need few minutes for facial dry brushing. For on-the-go women like us, it is so important to have skin care routines that can be easily incorporated in our busy schedules. 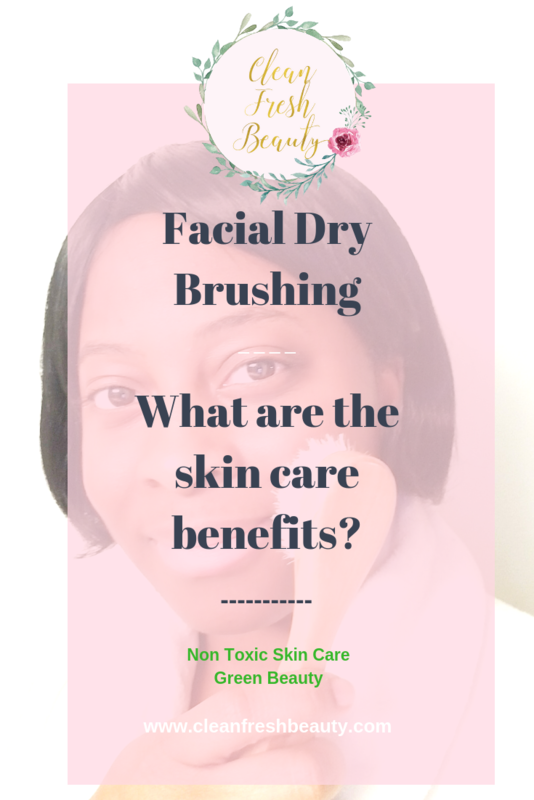 First, What are the benefits of facial dry brushing? Turns out one of the biggest if you have dull skin, facial dry brushing will help brighten your complexion and give you a glowing skin. Second, how is facial dry brushing helping the skin? Even though they haven't been any scientific testing, cosmetic dermatologist and natural estheticians explain that increase blood flow to the skin area that is being brushed and exfoliate the skin [sourcehealth.com, MindBodyGreen.com]. Facial dry brushing helps us have a healthy glowing skin from within by activating our lymphatic system to awaken the face. Like What You Are Reading? Sign Up To Get More Tips! 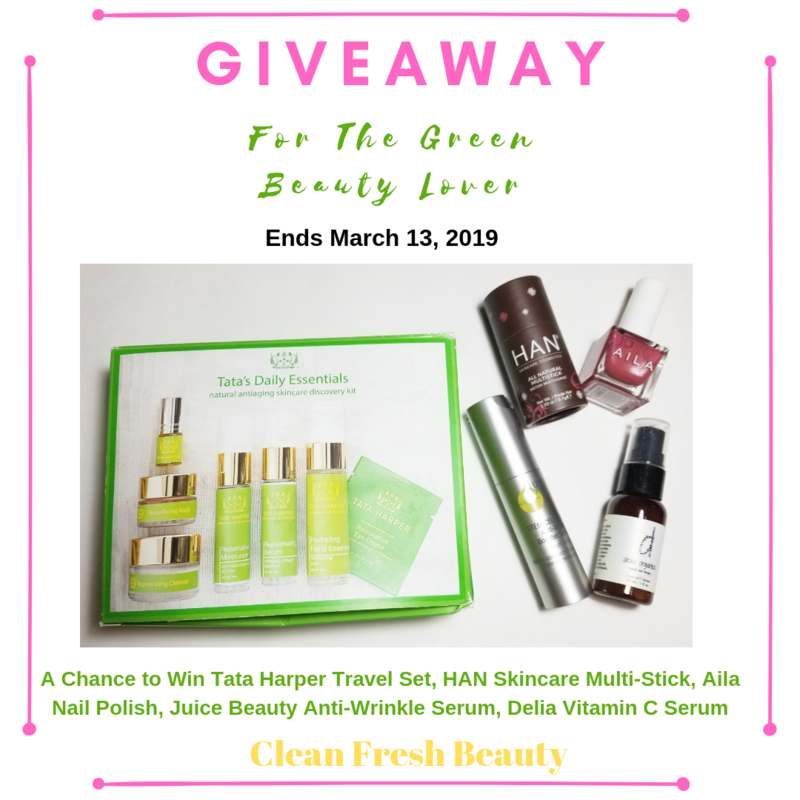 Green Beauty - Clean Fresh Beauty February Giveaway! Giveaway : February 27 - March 13, winners will be announced by March 16. Sign Up (If Not On The List) + Comment Below to Enter CFB February Giveaway + Get Tips on Organic Beauty!